to come to know themselves as loved by God. celebrating it all in art, music, poetry, and drama. Where information for parents is announced and discussed. Click through to join, or to see photos of some of our recent time together. We love kids, and they are always welcome to worship alongside the adults during our 10am worship service. After about 15 minutes in worship, children are invited to join our Kids Team to enjoy a time of connecting, creating, and interacting with stories from the Bible. The same lectionary readings are followed in collective worship and in Kid's Time. This allows parents and children to be on the same page and enjoy the spiritual journey together! This nurturing and professionally-staffed space invites our youngest friends (0-5yrs) to Biblical storytelling, art and play. Parents of Kids meet following worship on the second Sunday of every month to share a meal and connect. Parenting is a joyful, challenging, and rewarding adventure. The weekly newsletter for Parents of Kids offers insights and ideas for parents invested in their children’s spiritual formation in creative and meaningful ways. To sign up, email john[at]fbcnewton.org. Want to know about more opportunities? John Boopalan coordinates our activities for kids. John is trained in Godly Play, a Montessori approach to religious education and spiritual formation of children. John is a father of a little girl and loves kids. You can meet John on Sundays or reach him by email at john[at]fbcnewton.org to find out more. Each month, kids focus on one story from the Bible. Here our preschool-aged kids hear and tell the story of Jesus washing the disciples' feet - washing each other's feet and experiencing serving their friends. 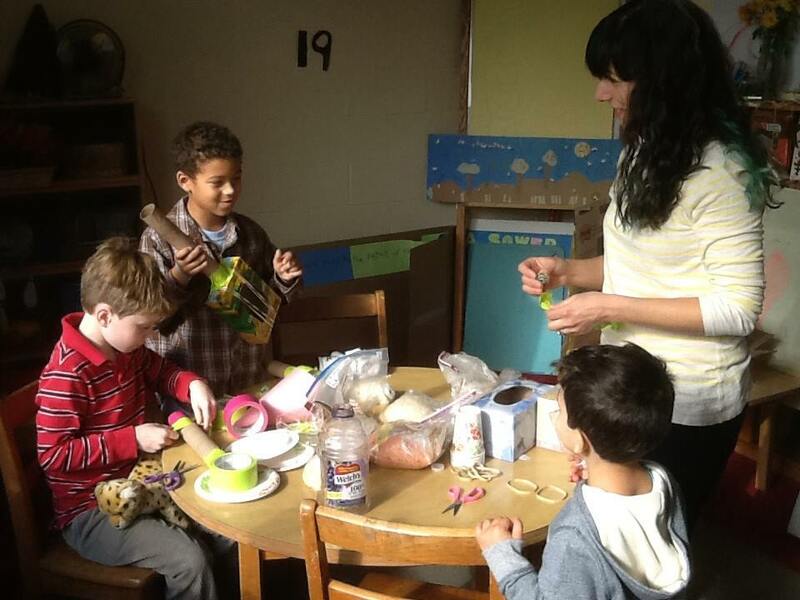 Kids make instruments with artist and member of the Kids Team, Nina Bellucci, as they explore the prophet Elijah's experience with sound and silence. 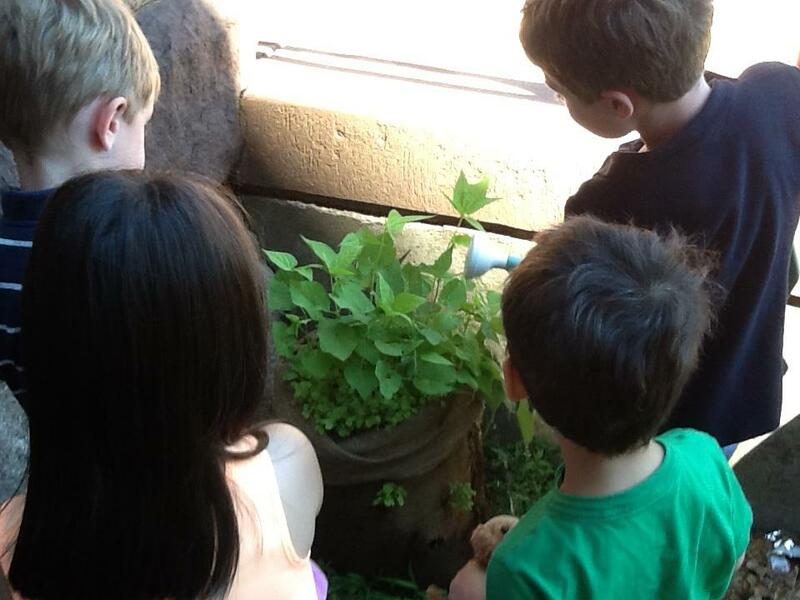 Kids explore Jesus' stories of growing things - the Parables of the Mustard Seed and the Sower. After visiting Heifer International's Overlook Farm, and learning about food and farming in other parts of the world, they planted their own burlap sack garden.